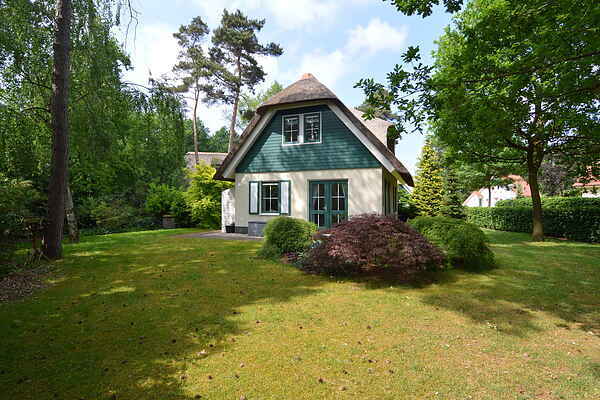 Detached holiday home with large garden in a small-scale, green park (without facilities) in Heeten, Overijssel. The vicinity offers an oasis of calm, space and nature. Enjoy the delightful walks and cycling trips you can make in the immediate vicinity. Here you can relax by taking a walk over the Holterberg, with its breathtaking panoramas, or by visiting the nearby village of Raalte with great shops and terraces. The cosiness and hospitality in this region give you a real sense of being on holiday. There are also several attractions in the nearby region for children. They can have great fun on the childrens farm Dondertman, in the Apenheul or Adventure park Hellendoorn, and culture and shopping lovers should visit Hanzestad Deventer. In short, you will definitely have a great time.